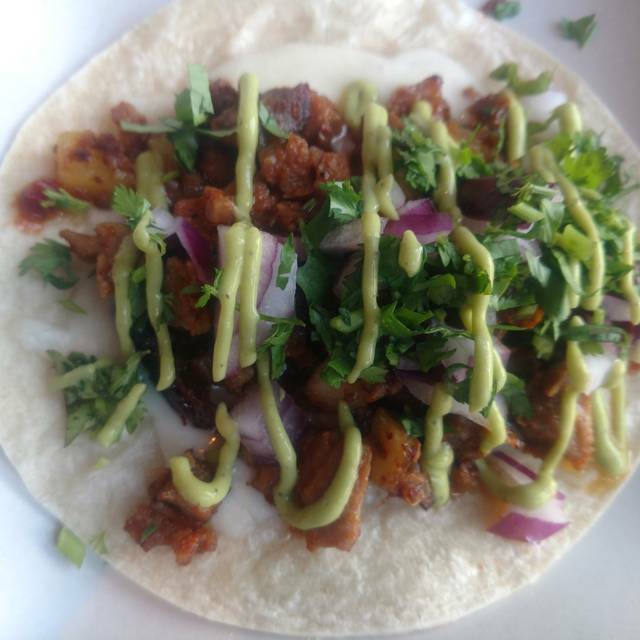 Japanese$$Beverly / Fairfax / La Brea / Third St.
Sushi$$$Beverly / Fairfax / La Brea / Third St.
Burgers$$Beverly / Fairfax / La Brea / Third St.
Sushi$$Beverly / Fairfax / La Brea / Third St.
Mercado on 3rd St. is the 2nd location for partners Jesse Gomez and Executive Chef Jose Acevedo. The restaurant is an inventive mix of food, atmosphere and tradition, reflecting the heart & soul of new Mexican dining. 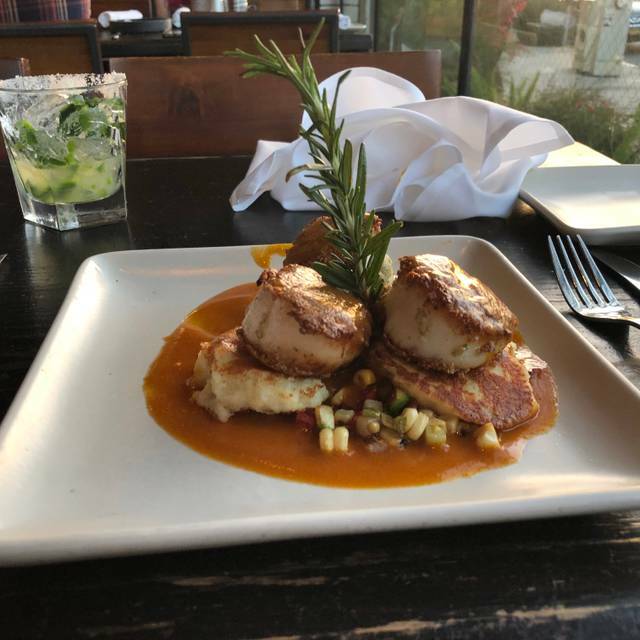 The restaurant is set up as several different spaces, with the main dining area as a covered patio space that looks out to 3rd street for a beautiful view. The open air bar is a relaxing way to enjoy a cocktail and food. 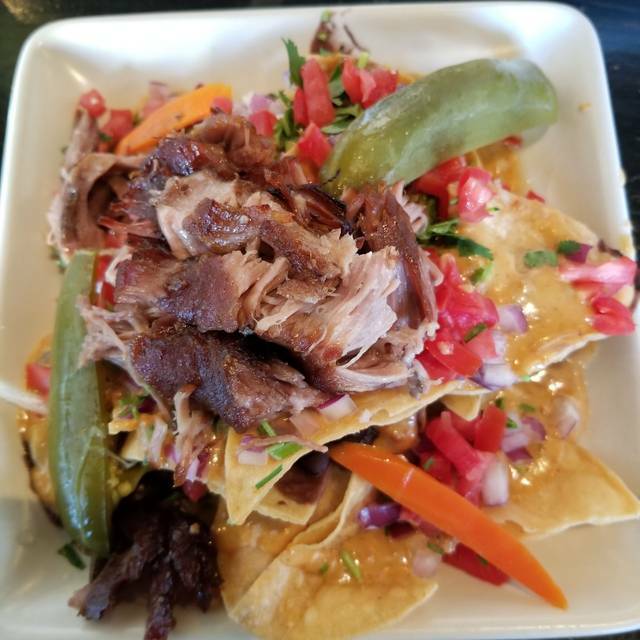 The menu exemplifies the cuisine and flavor of the partners Mexican roots, featuring items such as Chef Acevedo's signature Carnitas, created from a recipe handed down through generations. With tortillas made by hand, the finest meats, poultry and seafood, flavorful sauces, enchiladas and tacos, produce from the local farmers' market, and everything made from the freshest ingredients, Mercado offers handcrafted cuisine, artful design, warm atmosphere and service that is both friendly and informed to guide each guest through the dining experience. We offer valet parking in front of the restaurant on 3rd Street for $7. There is also some street parking available. Please read the signs. 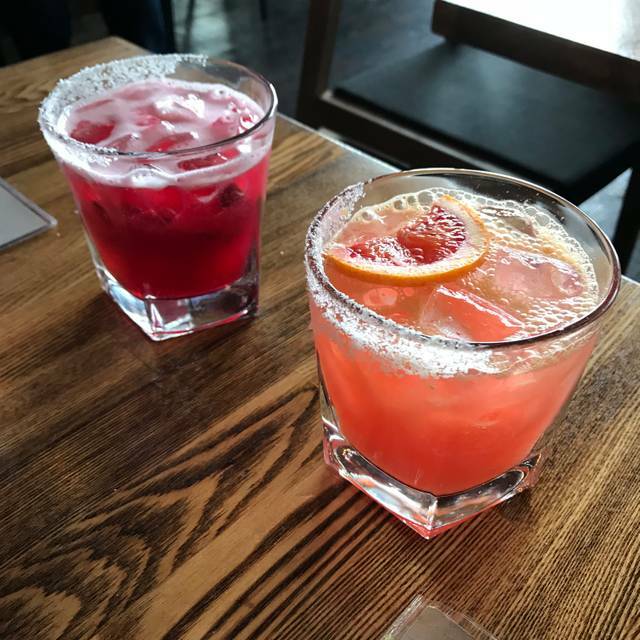 Mercado is always a good go to for consistent food and great drinks. Very slow for brunch - only a few tables. But it was great food. Food was okay. Not worth the price. I love going for Happy Hour! The potato tacos and Mexican Kale Salad are my two favorites and the hour Margarita is so good! One of my favorite spots! The food is always top notch but today I think it’s worth mentioning that our server wasn’t good. He was spectacular. Such a lovely demeanor, he checked on us often without being intrusive, never seemed hurried, and got everything done quickly and correct the first time. It’s always good. It’s usually like this but on a day where everyone else is in holiday? Thank you for being so very good at your job. Always reliably good food. Got to sit by the fireplace which made for a nice evening too. Our server David Tapia was AMAZING! He was very attentive and easy on the eyes. We will definitely come back to sit in his section! Our first time at Mercado. Wow! Awesome food, great service, generous portions, friendly host/ hostess. We will be going back for sure! Mercado was delicious. Portions are a good size so you can share. Food is on the spicier side but the guacamole was the best I ever had. Service was excellent. I'm biased because they carry my favorite tequila, Mandala. The staff is super well trained and always looking to serve its patrons. Food was superb. 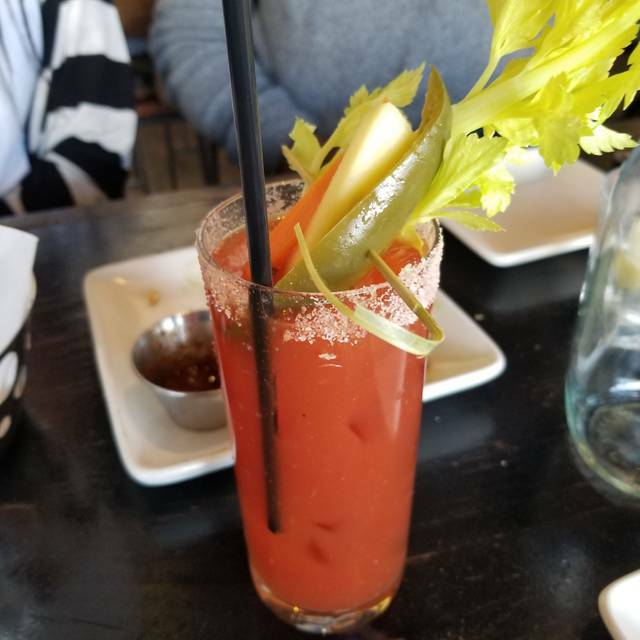 There was a minor mix up on our order, but we quickly had it rectified and they discounted our bill even though it wasn't necessary. I Love Mercado! 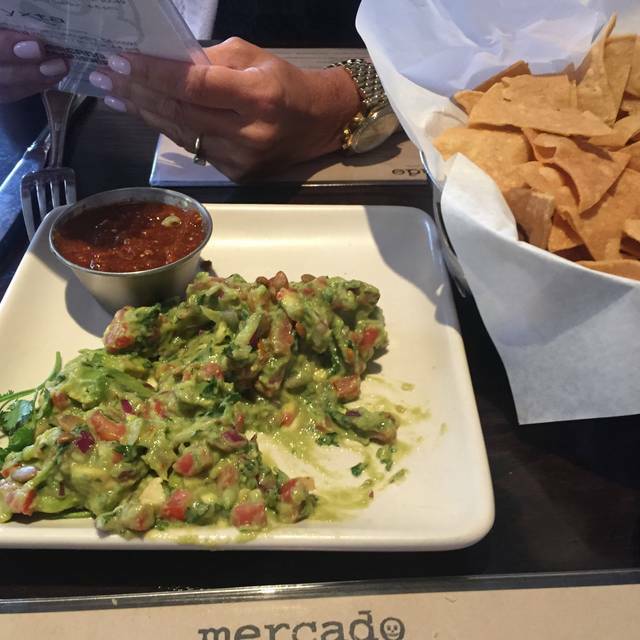 Love Mercado, have only been to the Santa Monica and LA location. It’s always crowded and loud but I can deal with that because the food has always been consistently delicious! I made reservations but we still had to wait....some patrons just won’t leave their table. Great time great place great food always fun! Tasty as always. Not cheap, but truly the best gourmet mexican cuisine in town. The front desk duo and server were all incredibly nice and helpful. Above and beyond nice. 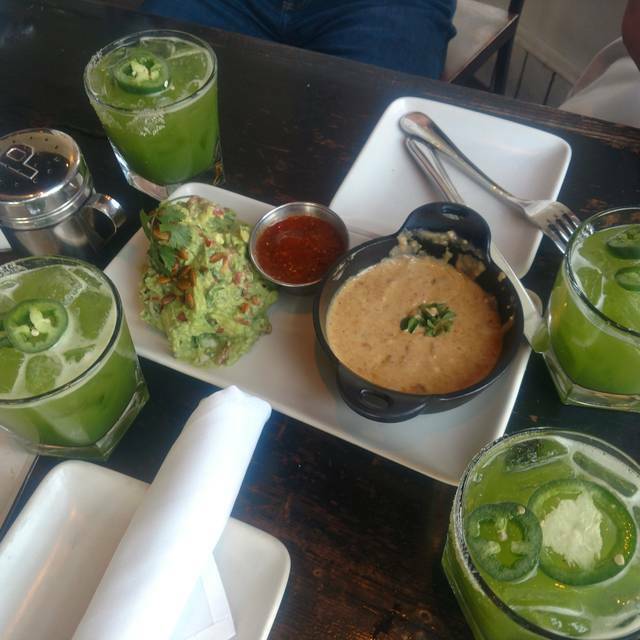 The guacamole is so fresh, so well-prepared, and the margaritas with top shelf tequilas are lovely. This place had a cool vibe, and the food was fantastic. A bit of a modern twist on the recipes, well worth the drive. Oh, and definitely have the guacamole! The food is always reliably delicious, a real treat! Two us had the carne asada, skirt steak, & it was incredibly tender & cooked to perfection--rare but not raw. It was hot, too, which isn't always the case with rare steak. One of us found the mole wonderful, when he typically dislikes mole. Our guacamole was superb, the tamale appetizer was excellent, & the flan I ordered for dessert was the best I've ever had, & I always order flan. It never disappoints. 2nd time here and each time was a great new experience. Excellent service and reliably good food. A bit pricey for what it is, weak drinks. We wanted a booth and kind of got one but not quite. The food is more expensive than it should be. But it is good. 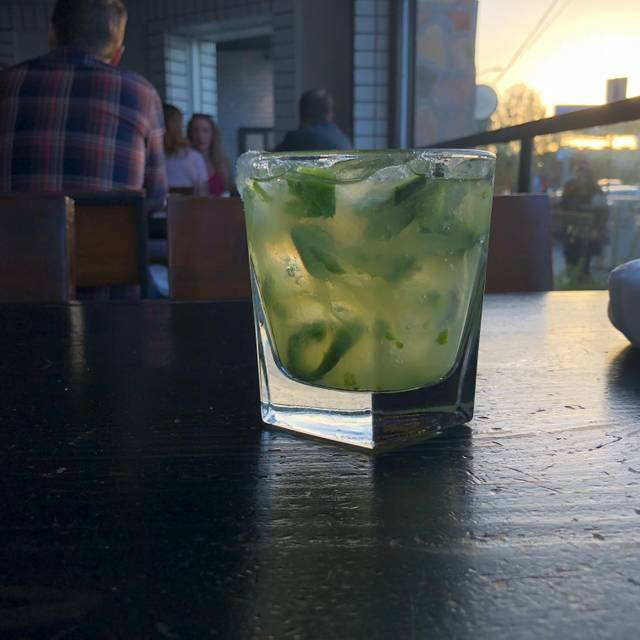 Fabulous meal — great happy hour specials! The prices are way too high for the quality of service we received. We ordered chips and salsa as an appetizer before ordering our entrees, but we had to ask 3 times before they brought them, and they only came out AFTER our main dishes. Drinks came in glasses only half full, when we asked why they looked like someone had already taken some she said “oh these are pure booze—there’s no filler.” Looked like 1 oz poured over ice, a 2-sips-and-done “cocktail” for $13. Not impressed. Food was good but the service impeded is from fully enjoying the experience. Not to mention $16 for TWO tacos, rice and beans not included. Come on Mercado, what happened?? 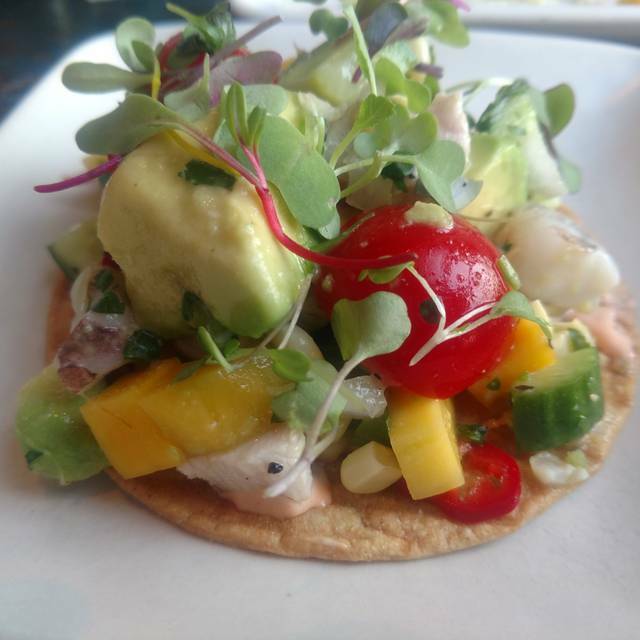 We loved our evening at Mercado and cannot wait to be back ! Service & cocktails were superb. Food was very good but pricey. Will likely be coming back. Always love the food at Mercado. It’s a little pricey and the service can be hit or miss, but the food is consistently excellent. Nice chill crowd, great for a get together spot. As a vegetarian I would like more options. I really only have one option there. The food was great. I had the chicken mole'. Happy hour prices were good. I had one of the margaritas (forgot the name). We sat by the window, which was nice for a warm evening. The service was great! Both the host, and especially our server. Food was very good but it is very packed and extremely loud. Difficult to have a conversation and it's shared seating (you can be seated right next to another group of people at the same table) Service seems very rushed as there are so many people. Love this spot, food and drinks are always on point. This night there was a mixup with our entrees, but they made right as expected. We were in a hurry so we had to leave before we could enjoy them. Either way, thank you for keeping a high standard for the industry. Too many establishments fall short with customer service and still happily take your money, kudos. I believe the Manager was Matt, he made it a point to introduce himself.